Curacao, February 5th – His excellency Governor Holiday paid a working visit to Curacao on February 5, 2013. He was received by and paid a courtesy visit to Her Excellency acting Governor of Curacao van der Pluijm-Vrede. 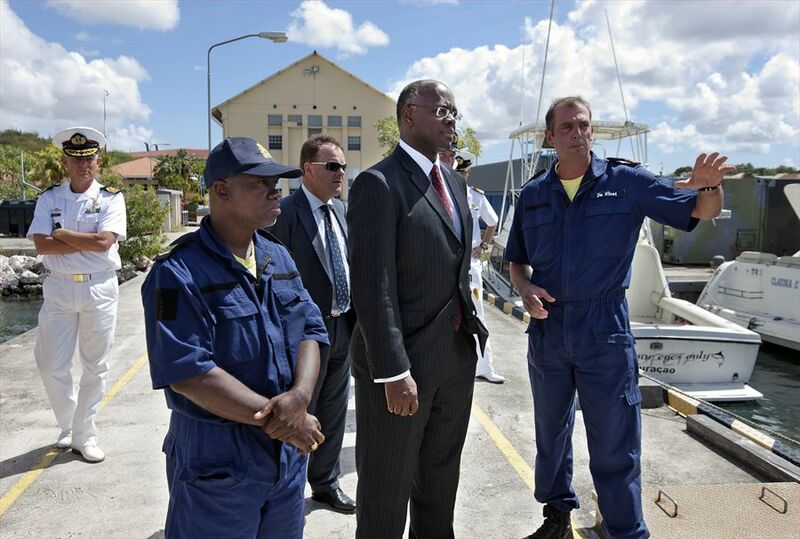 The main purpose of the Governor’s trip was to visit Naval Base Parera on February 5th, 2013, this to receive an on-site briefing in view of his command authority of the armed forces on Sint Maarten. 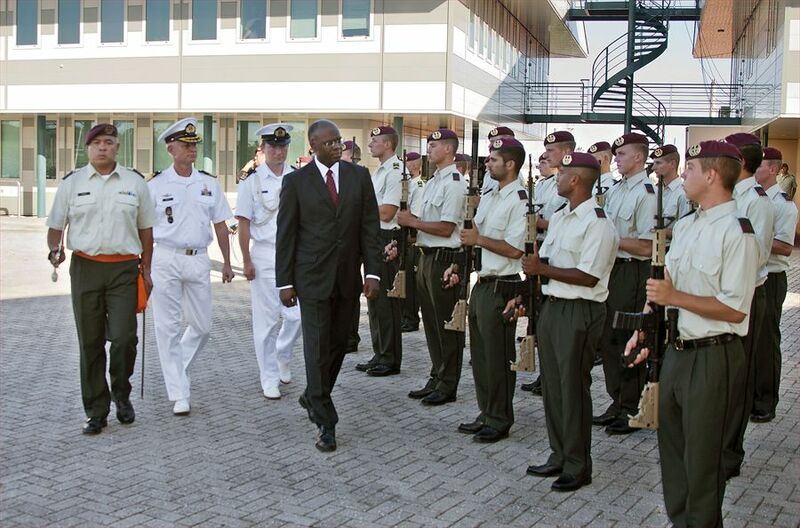 The Governor was welcomed at the base by General D. Swijgman, Flag Officer Caribbean. General Swijgman is the Commander of the Dutch Armed Forces in the Caribbean charged with the operational command of the Armed Forces on Sint Maarten. The tasks of the armed forces in the Caribbean consist of protecting territorial integrity, as well as of upholding international rule of law and the support of civil authorities. The other role of the General is director of the Coastguard of the Dutch Caribbean. The Governor was briefed on both defense and coast guard issues and got a first-hand view of the activities during a tour of the base. The Governor also got an update about the last Coastguard interceptions at sea. Governor Holiday also met with the US Consul General for Sint. Maarten, Mrs. Valerie Belon. at the United States Consulate in Curacao.